Tickets are free and can be reserved by emailing outreach@bergenpac.org or calling (201) 482-8194, ext. 71. The show is a musical celebration featuring singers, musicians and dancers from 16 schools with students with disabilities. The performers have been rehearsing throughout the school year and are ready to share their talents on bergenPAC’s main stage. The program features students from seven counties: Banyan School, The Center School, Chapel Hill Academy, Deron School of NJ Montclair Campus, Deron School of NJ Union Campus, ECLC of New Jersey, Chatham Campus, ECLC of New Jersey, Ho-Ho-Kus, The Felician School, Honor Ridge Academy, Daytop Academy, Holmstead School, Academy 360 Lower and Upper Schools, The Phoenix Center, Windsor Learning Center, Children Therapy Center and St. Joseph School for the Blind. “This event gives the students a beautiful platform to express themselves and become stars for the day and provides them with an experience for a lifetime,” said Alexander Diaz, Creative Director at The Performing Arts School at bergenPAC. Voices of Harmony is presented thanks to sponsorship by the William T. Morris Foundation, ASAH, The Alliance of Private Special Education Schools of North Jersey and bergenPAC. The Education program at bergenPAC features a series of classes, school residencies, workshops, live performances, student productions and ensemble groups in the performing arts for students ages 3 months to 21 years old. The program provides students with unique and “hands-on” arts training by industry professionals that allow them to gain real world experience and enhance academic achievement through the arts. bergenPAC’s arts education initiatives occur on-site at our new Performing Arts School building at 1 Depot Square, Englewood, NJ or off-site at other schools. The school reaches more than 30,000 students annually. The Performing Arts School offers basic and professional level performing arts classes and ensemble groups and productions in theater, dance, and music for students of all ages. The school also offers beyond bergenPAC, a school Partnership Program with school districts throughout the area. To enroll now or for more information contact (201) 482-8194 or education@bergenpac.org. ASAH is a nonprofit statewide association representing 160 private schools for students with disabilities. The schools serve roughly 10,000 students with complex conditions, including those who are medically fragile, on the autism spectrum, exhibit challenging behavior, have a mental illness, and those with multiple disabilities. For more information, go to http://asah.org or call 609-890-1400. Founded in 2003, the 1,367-seat Bergen Performing Arts Center, or bergenPAC, is the area’s cultural mecca. Housed in a historic Art Deco-style theater boasting one of the finest acoustic halls in the United States, bergenPAC attracts a stellar roster of world-class entertainment. The jewel in our crown is The Performing Arts School at bergenPAC – the innovative, educational performing arts initiative that reaches more than 30,000 students annually. The Performing Arts School provides community youth, age 2 months to 21 years, with unique, “hands-on” training in music, dance and theater by industry professionals. It is through the ongoing generosity of sponsors, donors and patrons that the not-for-profit 501(c)(3) corporation bergenPAC and The Performing Arts School are able to thrive and enrich our community. WHERE: Chatham United Methodist Church, 460 Main Street, Chatham, NJ. Tickets purchased by February 23rd are $20 ($15 for students and seniors). Advance ticket reservations are recommended. Ample free parking is available behind the church and at the adjacent Chatham Middle School. Artistic Director Dr. Anne J. Matlack (Above, with Mark Andrew Miller) leads the acclaimed 100-voice choral society in a concert featuring the cantata based on Walt Whitman’s “Song of the Open Road” by composer-in-residence Mark Andrew Miller, with chamber orchestra. Harmonium commissioned and premiered this major work 10 years ago to great acclaim. The concert will feature other works to inspire us to strive on a journey toward our best selves, by Joan Szymko, Elizabeth Alexander, Stephen Hatfield, André Thomas, Daniel Gawthrop, Clara Schumann and Veljo Tormis. Puccini’s irresistible lyric genius has long made Madama Butterfly one of opera’s most enduring tales of unrequited passion. A cast of internationally acclaimed guest performers assembled from Maestro Wroe’s extensive contacts in European and American opera houses joins NJFO to present, acted and in costume, this most heart-rending of stories, breathtakingly beautiful from first love to love child to tragic end. The sounds of Big Ben, the colossus of St Paul's Cathedral, the hustle-bustle of Piccadilly Circus, the vast horizons of this mega City – all captured in tone paintings by two iconic 20th century British composers – bring the 35th anniversary season celebration to a glorious close. Proudly sponsored by the Blanche and Irving Laurie Foundation. Direct from Broadway, Adam Trent, the breakout star of the world’s best-selling magic show The Illusionists, brings his signature brand of magic and illusion to this 90-minute spectacle. Produced by the same creative team behind The Illusionists brand, this is an immersive entertainment extravaganza of magic, comedy and music perfect for the entire family. TICKETS: can be purchased in advance on the Schola website for $20, or at the door for $25. Children 12 and under are admitted free of charge. For more information go to www.ScholaOnHudson.org or call 888-407-6002 Ext.5. The Ember ensemble of Schola Cantorum on Hudson will raise their voices in tribute to fallen soldiers on both sides of WWI and from many of the nations involved in the conflict when they perform the concert titled Where Poppies Grow. The concert will feature music and poetry from soldiers’ homelands including France, Germany, Canada, Greece, Russia, and others. The concert takes its name from the popular WWI poem, In Flanders Fields, by Canadian poet, John McCrae, in which he references fields of poppies where many soldiers lost their lives. 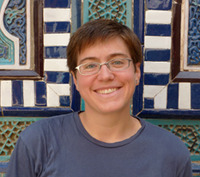 Ember will perform three musical settings of the poem as part of its repertoire. The March concerts are the second of three sets of concerts making up Ember’s current season, When the War is Over, that focuses on issues having to do with military conflict and its aftermath. The season honors the centenary anniversary of WWI, culminating in Armistice Day concerts in November 2018. Ember, a pro-am ensemble drawing singers from NY and NJ, will perform under the direction of conductor Deborah Simpkin King, PH.D., Ember’s artistic director and founder. Veterans will be recognized and honored at every performance and given red lapel poppies, the WWI symbol of solidarity with soldiers. In Where Poppies Grow, Ember will sing of pre-war innocence and dreams of a peaceful world (Friede auf Erden by Austrian composer, Arnold Schönberg); of sadness at seeing a beloved leave for battle (Trois beaux oiseaux du Paradis by French composer, Maurice Ravel and in settings of In Flanders Fields by Canadian poet, John McCrae); and of remembrance of soldiers’ sacrifice (When the War is Over by Irish composer, Michael McGlynn). Although the concert’s message about loss is a powerful one, it is also a message that’s as much about hope and joy (Everyone Suddenly Burst out Singing by Canadian composer, Peter Wilshire) as it is about sadness. Ember is the performing ensemble of Schola Cantorum on Hudson, founded in 1995 by Deborah Simpkin King, PhD, as an independent nonprofit organization. Ember performs its entire concert season in Manhattan and in Montclair, NJ. Its unique programming features new music (largely by living composers) with a socially pertinent message. The internationally recognized new music initiative, PROJECT: ENCORE ™, was foundedthrough Schola and the organization supports a multi-pronged education and engagement programs in addition to its performing activities. Ember draws singers from eleven counties throughout New York and New Jersey. Schola is supported by the New Jersey State Council on the Arts, the Marjorie Bunnell Foundation, and many other generous individuals, foundations and business partners. About Deborah Simpkin King, Ph.D.
Deborah Simpkin King, Ph.D., is the Founder and Artistic Director of Ember, the vocal ensemble of Schola Cantorum on Hudson (Schola), and of PROJECT : ENCORE™. Dr. King Chairs the New York Choral Consortium (NYCC) and serves as the Interim Director of Music at Crescent Avenue Presbyterian Church and the Artistic Director of the Crescent Concert Series in Plainfield, NJ. 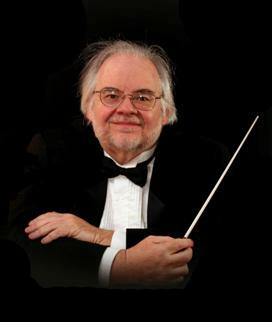 Known as a visionary conductor, educator and advocate of new music and the choral community, Dr. King is a frequent presenter at professional conferences and active as a guest conductor and teacher of master classes and choral workshops. Longtime friends Doug (David Federman) and Kayleen (Kelly Maizenaski) measure their lives in stitches, scars and hospital stints. Kayleen's internal agony, including intense stomachaches, is only matched by daredevil Doug’s array of disfiguring accidents. Over the course of thirty years, this scar-crossed pair meet again and again, brought together by injury, heartbreak, and their own self-destructive tendencies. “Gruesome Playground Injuries” is a compelling and unconventional “love” story about the intimacy between two people when they allow their defenses to drop and their wounds to show. Director Christine Gaden​ first read "Gruesome..." seven years ago, and ha​s​ been waiting to direct this piece ever since. ​"​I'm thrilled to have found Alliance Rep; their willingness to produce modern, quirky, and brave shows made it the perfect home for this project​," says Gaden.​ ​"​Working with the talented actors to bring these fascinating and complex characters to life has been extremely rewarding. "Rajiv Joseph is an artist of original talent." —NY Times. "Irresistibly odd and exciting…This darkly humorous drama is Rajiv Joseph's most satisfying work." —NY Daily News. "This wondrous strange two-hander finds as much humor as horror in the play's bizarre events." —Variety. 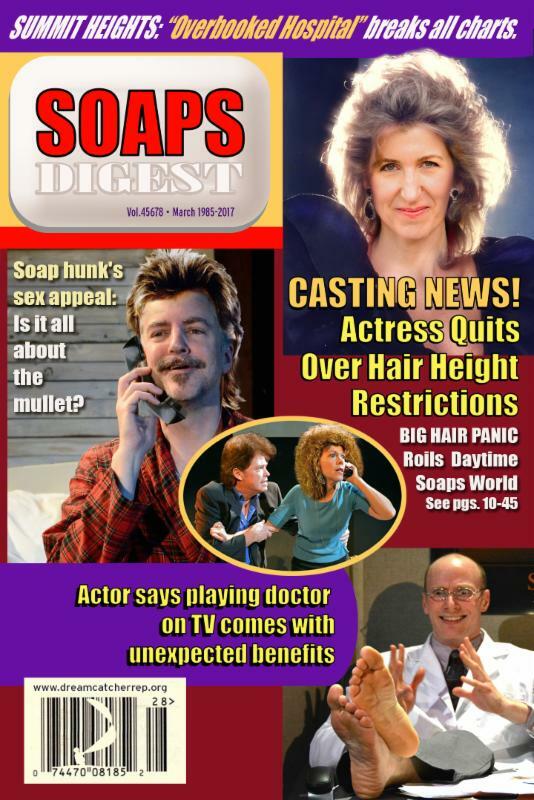 IMPORTANT: You will be asked to list ALL potential conflict dates AT THE TIME of your audition, (NOT after casting). Please be prepared with your calendar and out-dates, as a rehearsal schedule will be generated based upon availability. Immerse yourself in the glamorous and high-stakes world of 1980's prime time soaps like Dallas, Dynasty and Falconcrest. Big shoulders, big hair and big drama are back for one night only at Dreamcatcher as the ensemble enacts intertwining stories of infidelity, evil twins and terrible secrets. Enjoy cocktails and appetizers, dinner and dessert with the denizens of the fabulous Summit Heights. ADMISSION: free, donations accepted. Registration is available at www.farmsteadarts.eventbrite.com. As far back as the days of Lord Stirling and his astronomical observations, Somerset County, NJ has seen technological innovation. Frank Lloyd Wright built homes here; Gerald Pearson (right), inventor of the solar panel, made his home right at the Kennedy Martin Stelle Farmstead; and American Cyanamid, the country’s first diversified chemical corporation, had a huge presence in Bound Brook and Bridgewater. In this lecture Mr. DelGiudice will examine some of the little-known history and personalities which have made Somerset such a unique county. Jim DelGiudice has used his eyes and voice to document the New Jersey scene for more than half his 58 years. His architectural photography for books published by Rutgers University Press and his lectures at Drew University have won him a share of the state’s Historic Preservation Award three times. In the millennium year Jim was cited by both the state and county legislatures for his lifetime contribution to the arts. Most recently, he served as photo editor for “A Lifetime with Shakespeare,” published by McFarland & Company. An adjunct assistant professor at County College of Morris as well as an adjunct at Columbia University, Jim enjoys presenting talks to adult and professional groups around the metropolitan area. The lecture will be held in one of our beautiful galleries in the historic farmhouse at Farmstead Arts. The lecture will be followed by a brief reception, providing an opportunity to meet and talk with Mr. DelGiudice. The farmhouse is wheelchair accessible. Anyone anticipating the need for additional accessibility services may make a request by sending an e-mail to admin@farmsteadarts.org in advance. 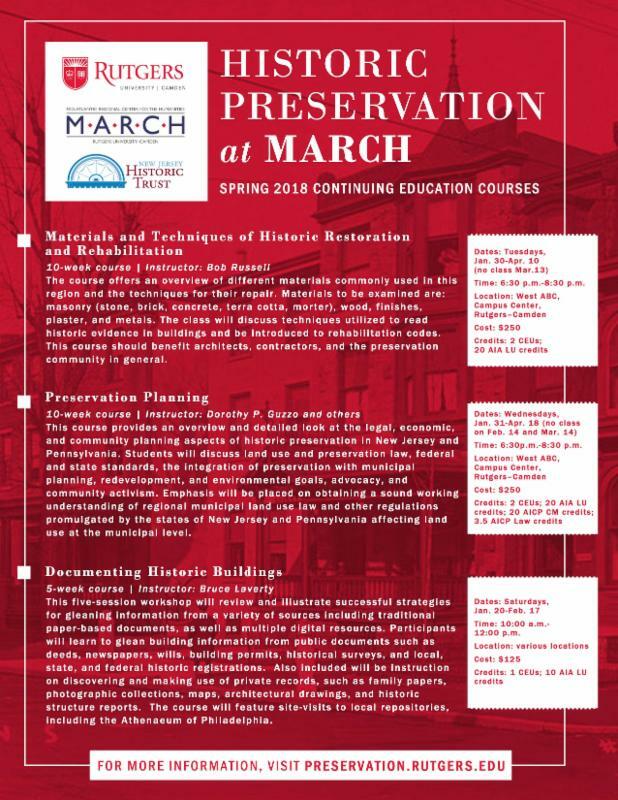 This program is made possible, in part, by the New Jersey Historical Commission, a division of the Department of State through the State/County History Partnership Program Grant, and administered in Somerset County by the Somerset County Cultural & Heritage Commission. TICKETS: $5 donation to the theater. Starring our own Patricia Durante Clara Harris, Mary Todd Lincoln and Laura Keene, were the three women "inside the box" at the Ford's theater when Lincoln was shot. Clara Harris was the young fiancée of a major in the army who was invited to attend the show with the president and first lady Mary Todd Lincoln. Laura Keene was the actress who starred in, and produced, the play that was being performed that evening. She was the first female to own and manage a theater in the U.S. They all tell their version of what happened that fateful night. Wine and Discussion with the Actress following the Performance! The Mike Stern Band featuring Teymur Phell and Richie Morales will headline the 7th Les Paul Festival Concert at Ramapo College. The annual festival celebrates Mahwah resident Les Paul’s innovative spirit as a musician and technologist by hosting a week of guest speakers and workshops for Ramapo’s music students culminating in a concert for the college and regional community. The Les Paul Festival is presented by the Ramapo College Music Program, the Berrie Center for the Performing and Visual Arts, the School of Contemporary Arts, the student-run Ramapo Music Club, and the Mahwah Museum. Mike Stern is regarded as one of the true guitar greats to a generation of contemporary jazz guitar aficionados. A player of remarkable facility, his searing lines are informed mainly by bebop and the blues while also carrying a rock-tinged intensity. Stern made his mark with Miles Davis in the early 1980s before launching his solo career in 1985. Since then he has released 17 recordings as a leader, six of which were nominated for GRAMMY® Awards. His latest album is titled “Trip.” Stern has also played with Blood, Sweat & Tears, Jaco Pastorius, Michael and Randy Brecker, Eric Johnson, Bela Fleck, and numerous other major jazz musicians. Stern was presented with Guitar Player magazine’s Certified Legend Award in 2012. 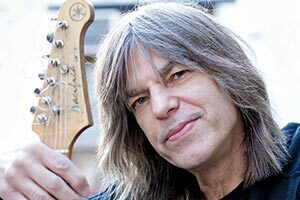 Ramapo College is thrilled and honored to have Mike Stern headline the 7th Les Paul Festival, during which he will also provide a workshop for Ramapo music students. Drummer Richie Morales, a native of New York City, is a versatile player who has performed and recorded with a wide range of contemporary artists: Mike Stern, The Brecker Brothers, Spyro Gyra, Grover Washington Jr., Al DiMeola, Stevie Wonder, Carly Simon, Dianne Reeves, saxophonist Bill Evans, bassist Victor Bailey, Michael Franks, George Russell’s Living Time Orchestra, Grammy award winning vibraphonist Dave Samuels, Gato Barbieri, Dave Valentin, Ray Barretto, and Herbie Mann. 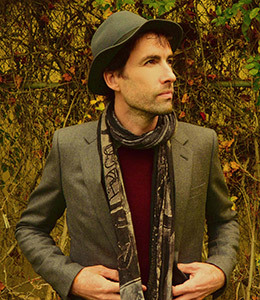 He also leads his own group performing a mixture of Jazz standards and original music. Richie has been a member of the jazz faculty at Purchase College Conservatory of Music SUNY since 2000. 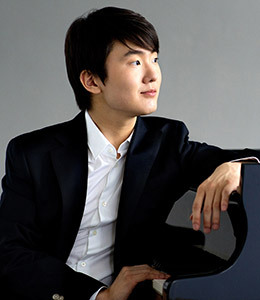 He has also taught at the Juilliard School’s Music Advancement Program. Bassist Teymur Phell moved to New York in 2011 and has since built a reputation as a vibrant and virtuosic player. He has performed with Mike Stern, Arturo Sandoval, Danielia Cotton, Alex Young, Leni Stern, Kevin Salem, Lafayette Harris, and Oz Noy. Born in Azerbaijan to a family of professional musicians—his grandmother Elmira Nazirova was a celebrated classical pianist—Teymur studied classical bass at the Jerusalem Academy of Music and toured with Palestinian singer Amal Murkus. It is on the second floor of the historic Levi Solomon Barn. The JHMOMC is a tax-exempt organization under Section 501 (c)(3) of the Internal Revenue Code. The Museum is handicapped and assisted listening accessible. The acclaimed National Dance Institute brings Harlem Night Song to NJPAC! The spectacular young dancers of National Dance Institute's Celebration Team arrive at NJPAC with Harlem Night Song, a vibrant production that celebrates the work of legendary artists like Duke Ellington, Fats Waller, Florence Mills, Jacob Lawrence and Héctor Lavoe. In Harlem Night Song, directed by Bianca Johnson, dozens of dancers from National Dance Institute's Celebration Team will stomp at the Savoy, salute the Harlem Hellfighters, cheer for Joe Louis, and shuffle along at the Hoofers Club. These exuberant artists range in age from 9 to 15, and are drawn from schools throughout the New York metropolitan area. Founded by ballet superstar Jacques d'Amboise, National Dance Institute uses dance and music to instill in students a love of the arts, a passion for learning, and a desire to strive for their personal best. Over the last four decades, this acclaimed organization has transformed the lives of more than 2 million children through its award-winning arts and learning programs, and high-energy public performances. Find out more about NDI at nationaldance.org or join the conversation with #NDIperforms. TICKETS: $40 to $80, with discounts available for groups, seniors, and U.S. military personnel, their families, and veterans. A limited number of $20 tickets are available for every performance; $20 tickets may be partial view. Tickets for patrons under 30 are $20 and include the best available seats at every performance. Tickets are available from tworivertheater.org or 732.345.1400. Thornton Wilder won three Pulitzer Prizes: two for the classic American plays Our Town and The Skin of Our Teeth, and one for his novel, The Bridge of San Luis Rey. This quiet masterpiece—a dazzling rumination on the nature of love—will be brought to life on stage by a troupe of actors led by one of the singular figures in the American theater: writer and actor David Greenspan, the winner of five Obie Awards. “There’s an impassioned camp of theater lovers who assert that Thornton Wilder is the consummate American theater artist; there’s another who say the same of David Greenspan. Imagine what they’ll say when these two collaborate on something new,” says Artistic Director John Dias. The Bridge of San Luis Rey was published in 1927 and won Thornton Wilder the first of his three Pulitzer Prizes. (Wilder, the only writer to win Pulitzer Prizes for both fiction and drama, was also honored for his plays Our Town and The Skin of Our Teeth.) Set in 18th century Peru, the novel is about five travelers who fall to their deaths when they are crossing a bridge that breaks without warning. “There is a land of the living and a land of the dead and the bridge is love, the only survival, the only meaning,” Wilder wrote in its famous final words. Commissioned by Two River Theater, five-time Obie Award-winning playwright and actor David Greenspan brings Wilder’s masterpiece about life, fate, and love to the stage as a profound meditation on theater and live performance. Greenspan (most recently seen in a solo performance of Eugene O’Neill’s Strange Interlude) leads a nine-actor company in the role of Uncle Pio, the play’s narrator. The cast of The Bridge of San Luis Rey also includes Sumaya Bouhbal (Pepita), Zachary Infante (Esteban), Julienne Hanzelka Kim (Madre María), Elizabeth Ramos (Camila Perichole), Steven Rattazzi (Don Andrés de Ribera/Captain Alvarado/Don Vicente/Jaime/Inez), Mary Lou Rosato (Doña María), Bradley James Tejeda (Manuel) and Madeline Wise (Doña Clara). Audiences will learn about Thornton Wilder, David Greenspan, and The Bridge of San Luis Rey in Two River’s Before Play lecture series, which takes place 45 minutes prior to every performance, and Lobby Display. Discussions with the cast and a member of Two River’s Artistic staff will take place following the performances on Wednesday, February 28 at 7pm and Wednesday, March 7 at 1pm. 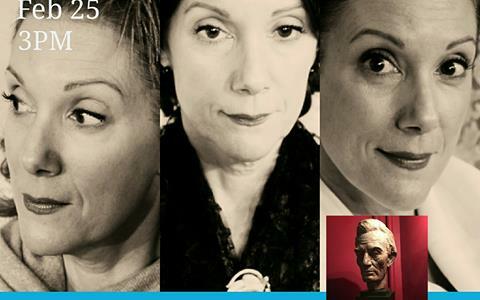 Meet-up with Madeleine is a post-show discussion series with Two River’s Playwright-in-Residence, Madeleine George. Patrons are invited to enjoy refreshments and conversation on topics including Thornton Wilder, the play’s themes, elements of the production, and more. To reserve a free spot, interested patrons should call 732.345.1400 or visit www.tworivertheater.org. Thornton Wilder’s novel The Bridge of San Luis Rey and its message of human connection provided the inspiration for David Mitchell’s unique 2004 novel (Mitchell even named a character Luisa Rey as a tribute). 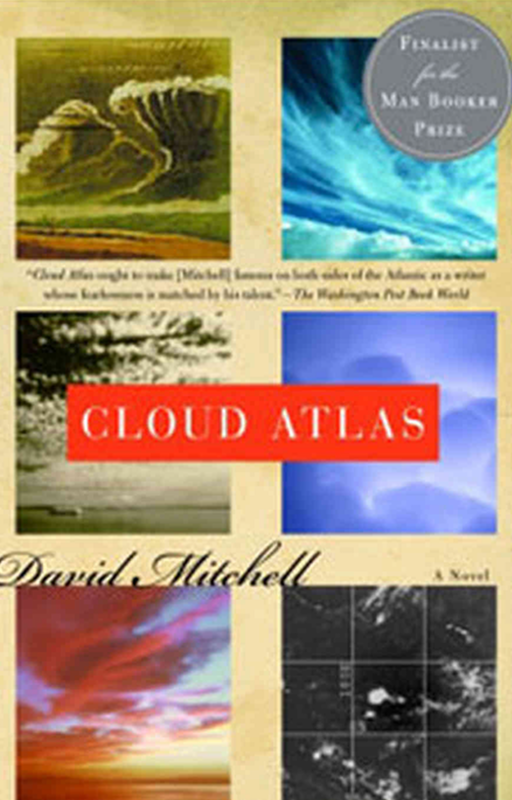 Comprised of six nested stories with very different styles and settings, Cloud Atlas is an intricate, gorgeous, heartbreaking variation on Wilder’s original theme. We’ll discuss the art of interlocking stories, and how works of art can teach us how to live. An audio-described performance is scheduled for Wednesday, March 14 at 1pm, and an open-captioned performance is scheduled for Saturday, March 17 at 3pm. Tickets are available at a discounted rate of $25 for patrons using these services. To reserve wheelchair-accessible seating or tickets to a performance listed above, patrons should call 732.345.1400 or e-mail boxoffice@trtc.org. J. Donald Dumpson is one of the leading authorities on, and performers of, African-American sacred music. As well as being minister of music and arts at Arch Street Presbyterian Church in downtown Philadelphia, Mr. Dumpson is the founding director of the Philadelphia Heritage Chorale. On March 4 we will welcome him to Hauser Auditorium at the Pingry School in Basking Ridge as guest conductor of a very special MISH concert in which the Somerset Hills Chorus will be joined by the Caritas Chamber Chorale and the Apprentice Chorus of the Newark Boys Chorus School in a program of African American sacred music. WHEN: Sunday, February 25, at 3p.m. To purchase tickets, concert patrons may visit www.cjso.org/concert_tickets. Half-season tickets (February 25 and May 6 concerts) may also be purchased at this time ($37.50/adult, $30/senior, $27.50/student). The latter prices represent a 25 percent savings. Please e-mail orchestra@cjso.org with any questions. The concert—the second on the CJSO’s 48th season (its 10th under music director Michael Avagliano)—will include Mozart’s overture to The Marriage of Figaro and Symphony No. 41, “Jupiter,” as well as arias from Donizetti’s La fille du régiment (The Daughter of the Regiment) and other operas, featuring soloists from the Light Opera of New Jersey (LONJ). Michael Avagliano has served as music director of the Central Jersey Symphony Orchestra since 2008, and was recently appointed music director of the Summit Symphony. He joined the faculty of Drew University as director of the chamber orchestra in 2015. In the 2014 season, Mr. Avagliano conducted the orchestra’s first opera performances, collaborating with the Light Opera of New Jersey for a fully-staged production of Mozart’s Die Zauberflöte. Previously, the orchestra was a runner-up for The American Prize, awarded each year for excellence in orchestral performance. Also an active violinist and violist, Mr. Avagliano has performed with the New Jersey and Singapore symphonies, as well as the Indianapolis Chamber Orchestra. As a member of the Madison String Quartet, he has performed on chamber music series throughout the United States, with recent appearances in Alaska, New York, and Pennsylvania. For more information, please visit www.michaelavagliano.com. Founded in 1970 as the Somerset County College Orchestra, the orchestra changed its name to the Central Jersey Symphony Orchestra in 1985. For 16 seasons, the orchestra presented six to eight concerts, performing the standard orchestral repertoire. At its Gala 10th anniversary concert under the new name, the orchestra completed a cycle of the Beethoven symphonies with a sold-out performance of the Ninth. In the following year, it presented an acclaimed concert of “Music of the Holocaust at Terezin.” In 1998, the orchestra began a cultural exchange with Lithuania, presenting Lithuanian guest artists making their U.S. debuts. 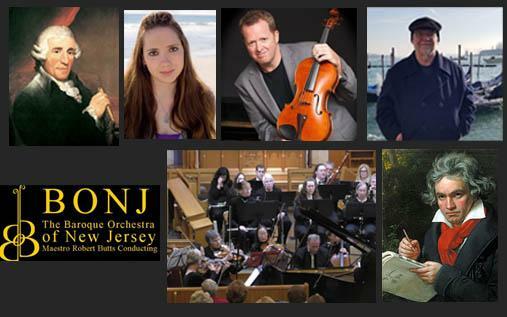 Committed to presenting the works of New Jersey composers, the orchestra has presented world premieres by Mario Lombardo, John Sichel, David Rimelis, and David Sampson. Yasmina Reza`s Tony-winning comedy “Art” opened Friday night at the Centenary Stage Company’s comfortable Sitnik Theatre. Let me cut right to the chase. This production, directed by the multi-talented Anne Occhiogrosso, starring a trio of outstanding Broadway, film and television vets, Randall Duk Kim, Kevin Carolan and CSC’s own Carl Wallnau, provides an exceptional theater experience worthy of any stage. The three men, Marc (Duk Kim), Serge (Wallnau) and Yvan (Carolan) are longtime best friends who find their relationship severely tested when Serge buys an expensive painting for 200,000 francs (the setting is Paris). The painting is by a respected modern artist. It is a large, completely white painting. Marc and Yvan have different reactions to the canvas. Marc, Serge’s social mentor, is horrified, and calls the painting s**t; Yvan, forewarned of the uniqueness of the painting, attempts a more restrained reaction. Both however, ignite from Serge a barrage of verbal abuse for their lack of appreciation and/or understanding of modern art. Their debate of these three questions: What is art? What does it mean to be a friend? What does it mean to be a friend when your friends have terrible taste in art? results in a brutal examination of their roles in this friendship. All delivered with the witty, smart, provocative dialogue of Ms. Reza. The favorite star turn was Kevin Carolan’s monologue about the stress of dealing with his approaching wedding. The audience responded with a round of enthusiastic applause. He is a marvelous comedy actor. All three were perfectly cast. Randall Duk Kim was exceptional as Marc. He demonstrated that he could easily conduct a master class in acting. Carl Wallnau, the CSC’s artistic director, impresses as always with his excellence in comedy, drama, and music (fine voice). The play is presented as a series of scenes (no intermission) that vary from three and two characters, to several single character monologues directly to the audience. The set, a stark but handsome apartment living room, designed by Tim Golebiewski, serves as the residence of all three via clever prop changes. Particularly effective is the often overlooked music between scenes by sound designer Carlos Dias Jr. The stage manager is Danielle Constance. Ed Matthews is the lighting designer. Ashleigh Poteat designed the costumes. Jeff Chase serves as technical director. Centenary Stage Company’s production of Art runs February 16 through March 4 in the Sitnik Theatre of the Lackland Performing Arts Center. Remaining performance dates are Fridays, February 23 and March 2 at 8pm; Saturdays, February 17, 24 and March 3 at 8pm; Sundays, February 18, 25 and March 4 at 2pm; Wednesdays, February 21 and 28 at 2pm and Thursdays, February 22 and March 1 at 7:30pm. Ticket prices $27.50 for adults and $17.50 for children under 12 on matinee and Friday evening performances. 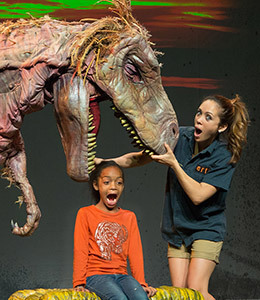 Saturday evening performances are $29.50 for adults and $17.50 for children under 12. Thursday evening performances are $27.50 for ALL SEATS with a special ‘buy one/get one’ rush ticket special when purchased in person at the Centenary Stage Company box office starting two hours prior to performance time. The ‘buy one/get one’ rush ticket special is not valid for advance ticket sales, on – line or by phone. Offer is only valid in person at the box office during the designated time and may not be combined with any other special offer or discount. Centenary Stage Company is also offering a buffet matinee for groups of 25 or more (up to 50) on Wednesdays February 21 and 28. Buffet matinees are $45.00 per person and include pre-show dining in one of CSC’s private dining rooms, as well as admittance to the 2pm matinee. Buffet matinees must be scheduled in advance. CSC also offers discounted tickets for group sales of 25 or more. To find out more or schedule your group or buffet matinee call the Centenary Stage Company box office directly at (908) 979 – 0900. For more information or to purchase tickets visit centenarystageco.org or call the Centenary Stage Company box office at (908) 979 – 0900. The box office is located in the Lackland Performing Arts Center at 715 Grand Ave. Hackettstown and is open Monday through Friday from 1 – 5pm and two hours prior to every performance. The Baroque Orchestra of New Jersey is excited to announce its 2018-2019 Season. Full programs are still being decided, but the dates are confirmed and several of the soloists are ready to go! The excitement starts November 11, 2018, at 3:00 PM at Dolan Hall, The Annunciation Center, The College of Saint Elizabeth, when the orchestra presents Ah! Perfido! Beethoven's rarely heard concert aria for which he was mentored by none other than Antonio Salieri! One of Beethoven's other mentors was the great Franz Joseph Haydn, whose Symphony #100—The Military Symphony will be a featured work as the orchestra celebrates Veterans Day! Special guest artist will be soprano Timothy Maureen Cole. The Wassail Concert will be at 3:00 PM on January 13, 2019, at Grace Church. A special treat will be the world premiere of Viola Concerto composed by Maestro Robert W. Butts especially for our esteemed guest soloist Brett Deubner! Also on the program will be Beethoven's popular Symphony #6—The Pastoral. The April 14, 2019 concert is still being determined but will be at 3:00 PM at Dolan Hall, The Annunciation Center, The College of Saint Elizabeth. 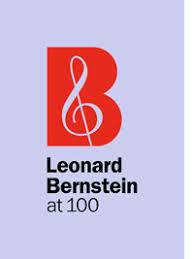 The concert will feature a wonderful guest artist and music by Beethoven. The season will conclude June 2, 2019, at 3:00 PM at Dolan Hall, The Annunciation Center, The College of Saint Elizabeth with one of the most electrifying works of American Music - George Gershwin's dynamic Piano Concerto with special guest artist Paul Zeigler! Tickets will be on sale soon—don't miss an afternoon of great music with us as we celebrate our 23rd season. ADMISSION: Competition/Performance is open to the public. Admission is FREE! Competition features ten extraordinary young musicians performing movements from major concertos and sonatas. Don't miss this opportunity to hear tomorrow's stars today! WHERE: Around the Corner Art Center, 290 Mounts Corner Drive, Freehold, NJ 07728 (next to the Museum). ADMISSION: $10.00 per child for ages four and up (must be accompanied by an adult). Decorate your own Ceramic Seder Plate! During the program, subsidized by the Museum’s Druin Education Fund, participants will be guided by the staff at the Art Center to decorate their own plate. After completion that day, the piece will be dried and fired, and returned to the Museum for pick up the following week. Funding has been made possible in part by an operating supporting grant from the New Jersey Historical Commission, a Division of the Department of State, through grant funds administered by the Monmouth County Historical Commission. The Jewish Heritage Museum is located in the Mounts Corner Shopping Center, at 310 Mounts Corner Drive Freehold, NJ, at the corner of Route 537 and Wemrock Road (between the CentraState Medical Center and Freehold Raceway Mall). It is on the second floor of the historic Levi Solomon Barn. The JHMOMC is a tax-exempt organization under Section 501 (c)(3) of the Internal Revenue Code. The Museum is handicapped and assisted listening accessible. The StrangeXchange pop-up flea market will return to The Wellmont Theater on June 16, 2018! ADMISSION: Tickets go on sale for $5 on Wednesday, February 21 at 10am on livenation.com. Check out our Facebook page here for more information and vendor announcements. It will feature over 45 unique vendors and food trucks. This year's theme will celebrate grads and dads as it falls the Saturday before Father's Day. The Aquarian Weekly was founded in 1969 and is one of the last independently owned alternative weekly print and online publications still running today. A limited number of VIP Experience packages are still available! Visit our website or FaceBook page for details! Please come prepared with a "traditional" Broadway Show Tune!